We really want to make a trip this January or February. I keep checking on the Special Offers page, but so far nothing has been announced. Any guess when/if they will announce the special offers for these months? Your questions are so similar I decided to combine them and answer 2 at the same time. Thanks. Free Dining for 2013. That's a toughie. I've been trying to declare Free Dining dead for the last 2 years. I've happily been wrong. But, I haven't been totally wrong. Disney has been reducing the number of weeks that discounts are available more and more each time they announce it. Two years ago, it was offered every week. Last year, it was every other week. This year, it's selected weeks. Next year ... ???? First let me say, I don't work for Disney, I don't have any contacts with Disney and I don't get any information from Disney about the future. This is only my opinion. I'd suggest you ladies go ahead and make your reservations with Pixie and Pirate Destinations and whatever discount becomes available in the future they will make sure you get the best deal possible. They will take good care of you and you won't miss whatever deal comes around. OK, about Free Dining in 2013. I really don't expect it. The Spring Disney World discount is for room only. If Disney was going to offer Free Dining they would have done it for the spring. But instead they have a discount on rooms and tickets. The end of Free Dining is not the end of the world. Yes it was nice, but the Spring Discounts are pretty good and will save you almost as much as Free Dining (maybe more depending on your room choice). Lisa and Florencia, Free Dining is probably gone for 2013. That's just the facts. But the the good news is there are still discounts for most of us. 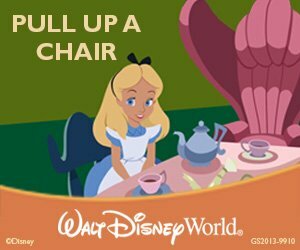 Comments for Will there be Free Dining at Walt Disney World in 2013? Visa Disney Rewards email, just received yesterday. Select dates in September 2013, free dining. Yippy. Keeping our fingers crossed for free dining for our planned November visit. Thank you for all your advice on free dining - keep it coming! We were lucky enough to get free dining for our trip in Sept.as an incentive for booking DURING our last stay. As far as "Anonymous" goes, please don't keep any of your opninions to yourself. I would take an educated guess from you anyday!!! Please keep up the good work keeping us all in the Disney loop! Listen, Dad is not always right but he is giving you an educated guess based on a lot of experience. If you don't like what you read then you should move along. We are hoping for free dining the last week of August but that is starting to look bleak. if you have no connection with disney then keep your comments on free dining to yourself. What do you think about free dining for the Fall of '13? I'm not being flippant, but the Spring discounts are always better than the fall discounts, so no Free Dining this year. What about free meals from May 18 to 28 in 2013? Yaya, Now that the Spring discount has been announced, it's very unlikely that Free Dining will be available in May. You can still get that discount. Just go click on the link above.